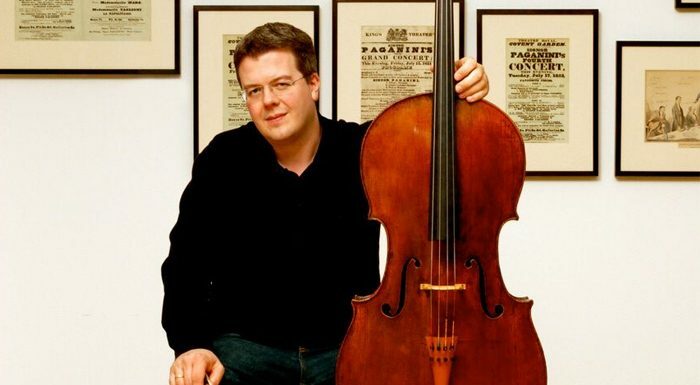 Paul Watkins joins Sir Andrew Davis and the BBC Symphony Orchestra to perform Gerald Finzi’s Cello Concerto in A minor, commissioned for the 1955 Cheltenham Music Festival by Sir John Barbirolli and first broadcast the night before the composer’s death in 1956. Friday 2 February, Barbican Centre, London. In a programme exploring the musical moods of springtime – from Debussy’s Printemps to Stravinsky’s Rite of Spring – sits Delius’ tone poem Idylle de Printemps, in the vein of his lush masterpieces On Hearing the First Cuckoo in Spring and In a Summer Garden. Wednesday 21 February, Royal Festival Hall, London. The Elysian Piano Trio – violinist Emily Sun, cellist Jane Lindsay and pianist Jennifer Hughes – give a lunchtime performance of Frank Bridge’s delightful piano miniatures. Thursday 8 February, St John’s Smith Square, London. The LSO host a discovery day on the music of Sir Edward Elgar. In the morning, the orchestra rehearses the composer’s Second Symphony with Sir Mark Elder, with a talk from David Owen Norris and performances of his chamber works in the afternoon – including Serenade for Strings, Elegy and the Piano Quintet. Sunday 11 February, Barbican Centre/LSO St Luke’s, London. Simon Heffer gives this year’s Crees Lecture on the life and music of Sir Hubert Parry, the great composer and former director of the Royal College of Music, to celebrate his centenary year. Tuesday 6 February, Royal College of Music, London. Derek Schofield from the English Folk Dance and Song Society examines the role of George Butterworth in the folk revival of the early twentieth century, examining his work as a composer, dancer and collector of folk song. Wednesday 21 February, Cecil Sharp House, London.